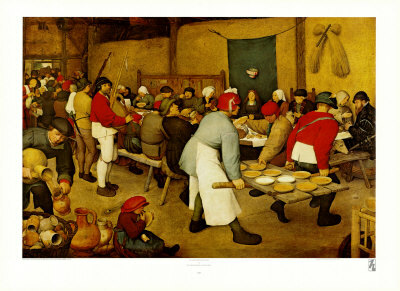 The Flemish painter Bruegel was always a great favourite in the family, and my sister recreated The Peasant Wedding on the kitchen wall at my parent's home in France. 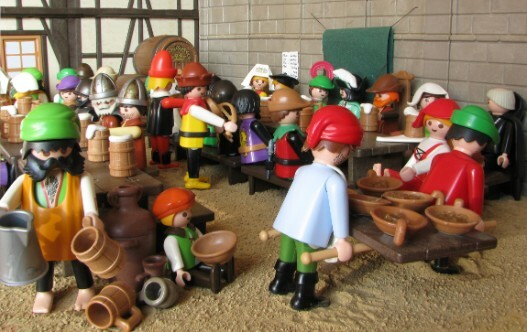 Therefore, when thinking of doing a feast to end one part of Thomas's adventure in The Green Man, remeniscent of the feasts at the end of each Asterix adventure, I immediately thought of it. It was only afterwards that I realised that Uderzo himself had had the same idea in Asterix in Belgium, and I must of had this subconsciously at the back of my mind ! This is the original, painted in 1568. This image was inspired by the closing scene in Hitchcok's movie The Birds, when the protagonists have to leave the shelter of their house, walking into a sea of deadly birds. When setting up the scene I didn't look at stills from the movie. 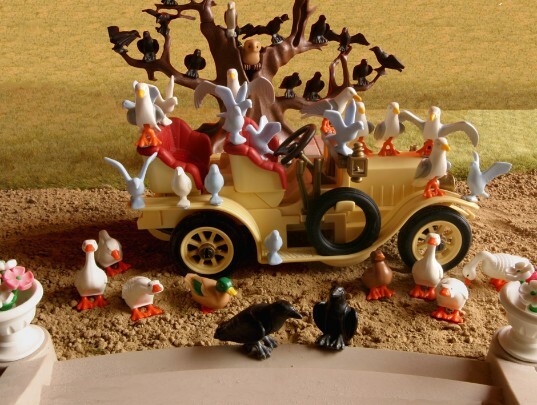 I had vivid images in my mind, and also knew I didn't have enough birds to do the scene justice! When looking for a picture from the movie to post below, I was pleasantly surprised to see the crows on the tree. I remember that from earlier in the film, but not at the end.